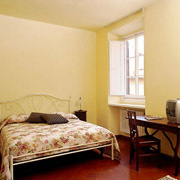 Third floor (with lift): hall with passage, 1 double room (TV) with double sofa-bed, bright, (with writing-desk), view on the National Library and Piazza Santa Croce, small kitchen/dining-room, small ante-bathroom, 1 bathroom with shower. 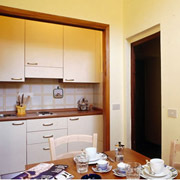 Individual heating system. 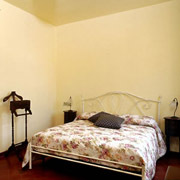 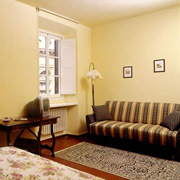 The apartment comfortably accommodates two people, or at the most a couple with children.